Just Like Dad is a 1995 Feature Film for Familes. It's a simple story of a boy who hurts his dad while trying to figure out how to become more popular with the students at his new school. He learns that although his father is not a big strong guy physically, he has other strengths. 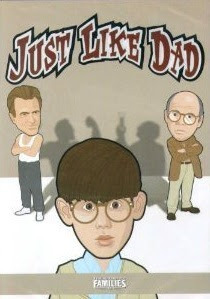 Just Like Dad stars Wallace Shawn, Ben Diskin and Nick Cassavetes. You will probably recognize Wallace Shawn who plays the father. His resume is extensive and includes The Princess Bride, You might also recognize Nick Cassavetes from movies like My Sister's Keeper and The Notebook. The child star of this movie is Ben Diskin, who no doubt has grown up since he made this movie. I see his more recent works includes voicing for video games and the television show, The Spectacular Spider-Man. 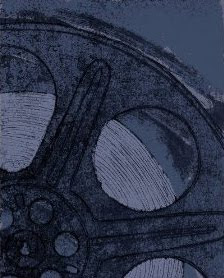 Feature Films for Familes are great safe movie choices if you have children in your home. I like the questions that come on the case, to help generate conversation AFTER you watch the movie. Should you decide to buy this movie from Amazon, you will be pleasantly surprised at HOW affordable it is. A search for Feature Films For Families, turns up an interesting selection no doubt worth consideration. Buy Just Like Dad from Amazon. Learn more about picking movies for children.